Sail on over for fresh, LOCAL fare. 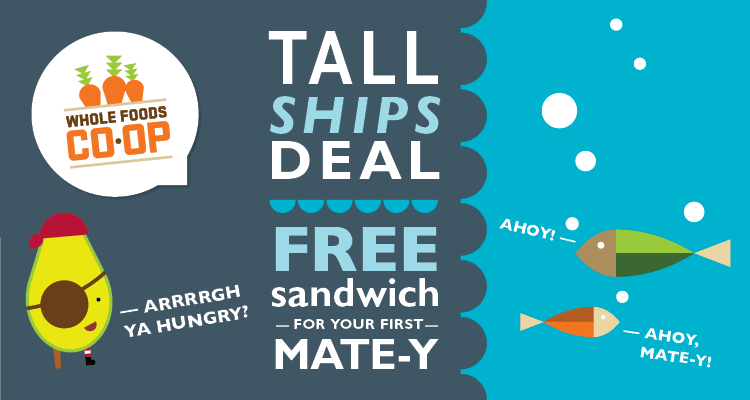 Buy one deli “grab-and-go” sandwich from our cold case and get a 2nd one for ‘yer firstmate for free! We’ve also got plenty of other options to feed the whole crew. Swagger in to either location and show this ad to get the deal.